Elñora Webb is the president and CEO of Signature Solutions, Corporate Results. She was formerly the President of Laney College in Oakland, the Peralta Community College District’s flagship campus. She led the College to new levels of success in spite of cuts in State financing and other challenges, tapping new sources of federal funding and expanding on successful partnerships with business and the nonprofit sector. Under her leadership, Laney developed a Construction Certificate program that – in partnership with top local businesses – helps students acquire skills that greatly enhance their chances for success in the job market. Under Dr. Webb, College’s Career Technical Education division has become an internationally known entity for preparing students for the manufacturing (including bio-manufacturing and advanced manufacturing) and green jobs industries. Laney now serves as an official center for the National Science Foundation. Dr. Webb is an inspirational role model who has ascended to a position of leadership from difficult beginnings, having grown up in foster care and endured childhood abuse. She overcame homelessness and says she was first motivated to attend college so that she would have a roof over her head. 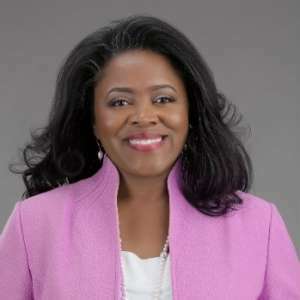 She earned a doctorate degree in Education with emphases in higher education policy, and has applied her knowledge to help countless young people find the path to career success and happiness.